– key goal of group. – What are the characteristics of a good facilitator? • What did the recent election in Alabama show about our country? 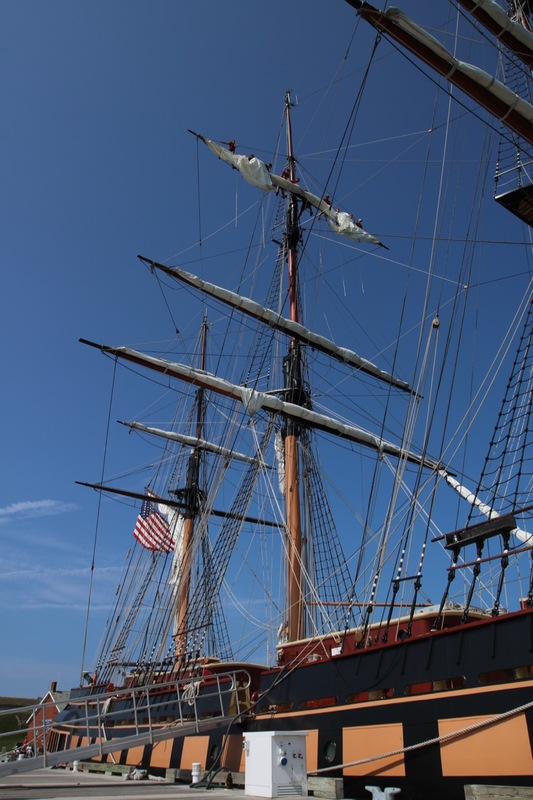 • Is the ban on transgender service personnel in the best interest of our national security? 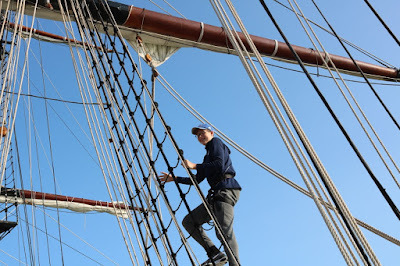 Mark has published his photos and they are available here. 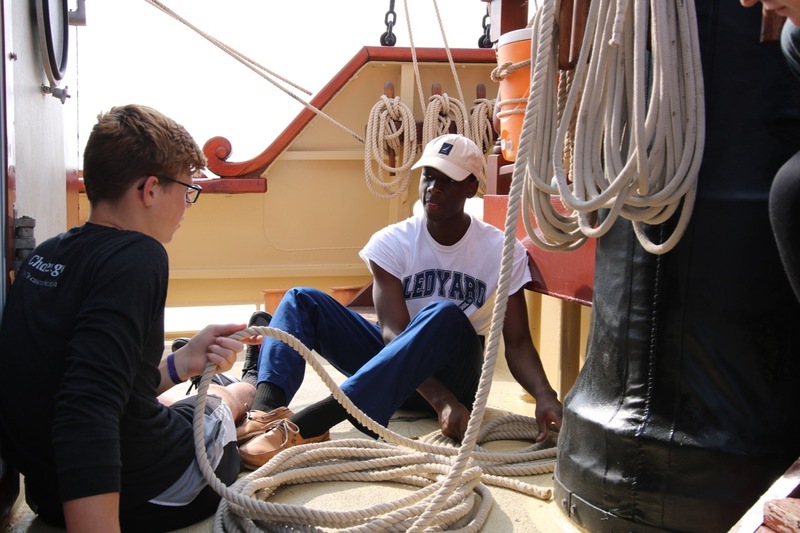 If you don't have permission to view them, please email kjannke@ledyard.net and Mr. Jannke will have Mark share the folders with your email address. 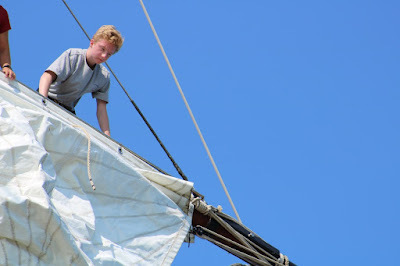 Also, unedited photos from amateur Mr. Jannke are available here, as well as a couple of videos. 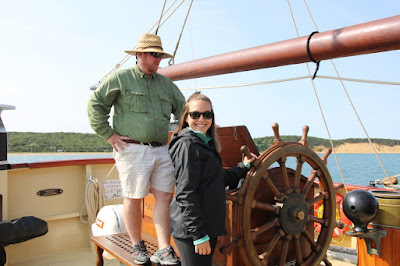 We left Block Island this morning and set sail for Narragansett Bay. 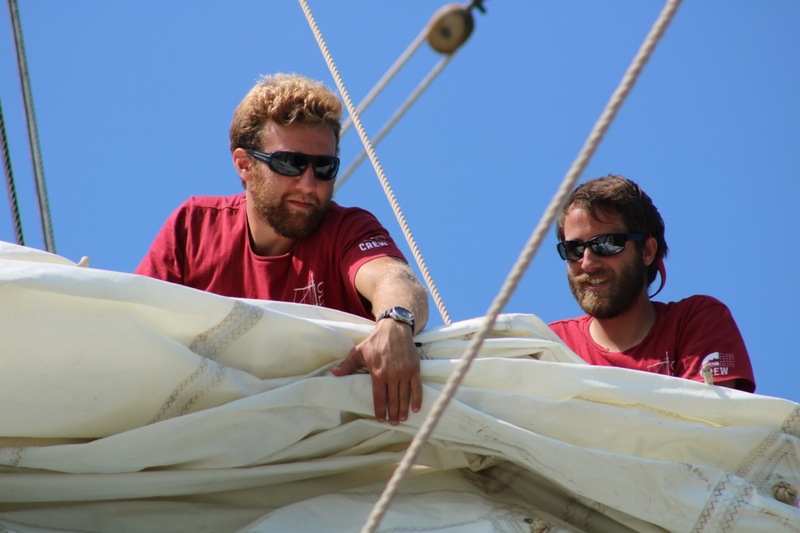 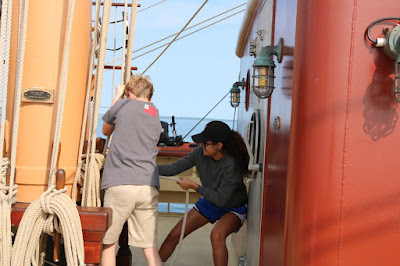 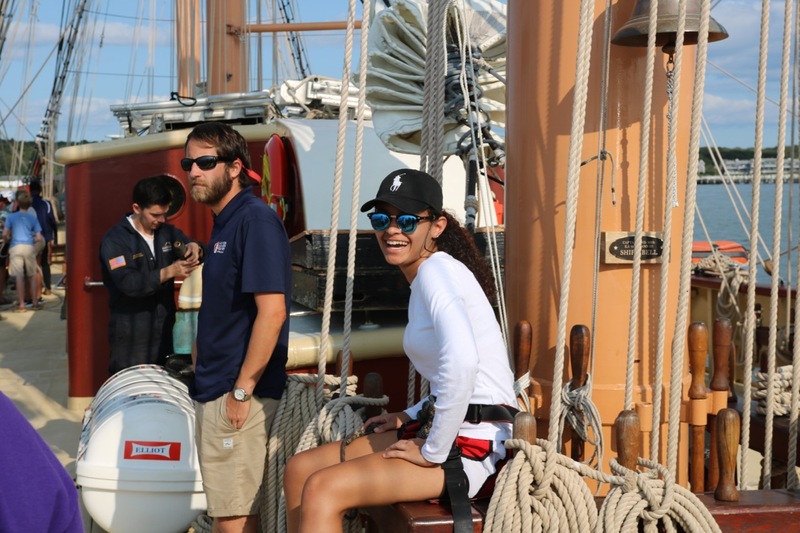 We participated in many sail handling drills along the way. 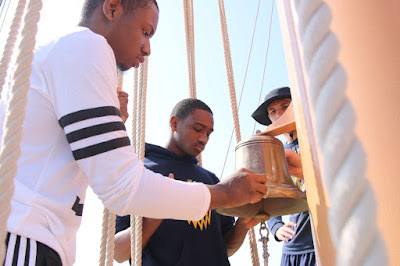 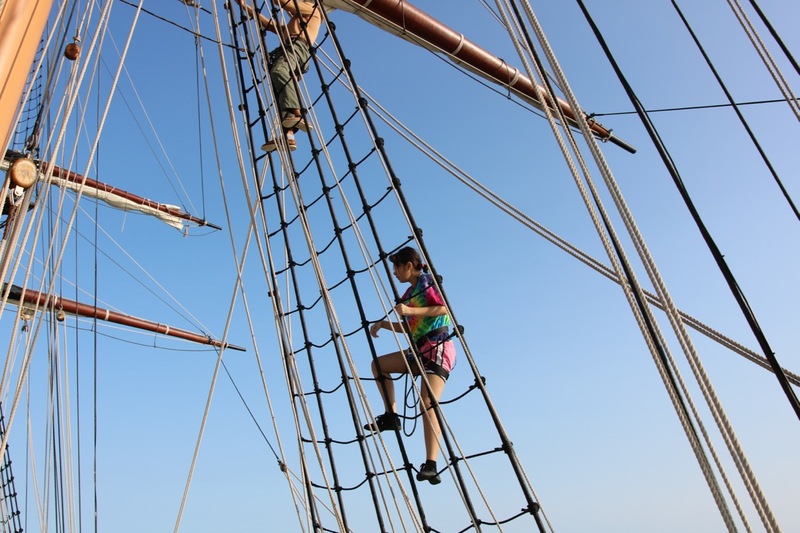 The students are competent sailors now! 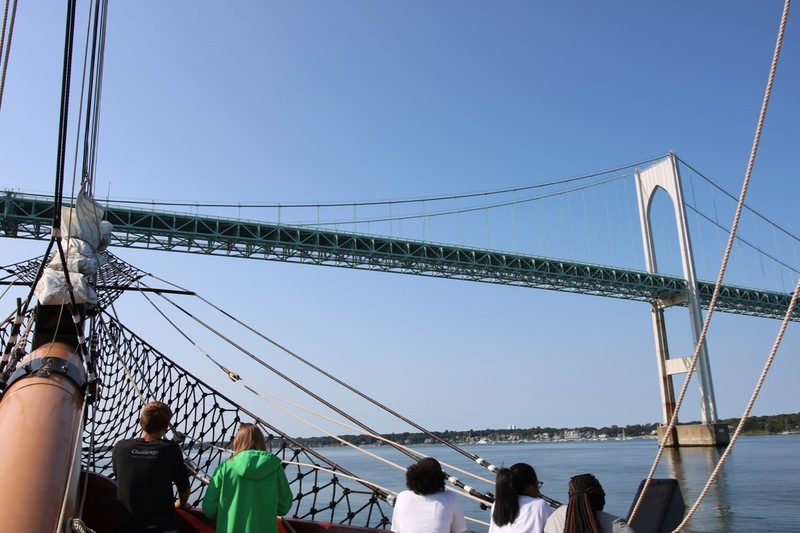 We sailed under the Newport Bridge and then several miles up the bay. 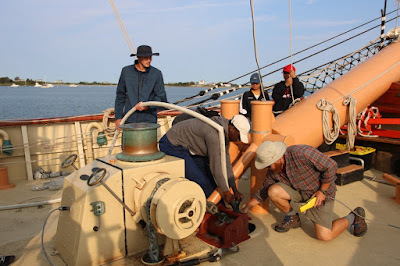 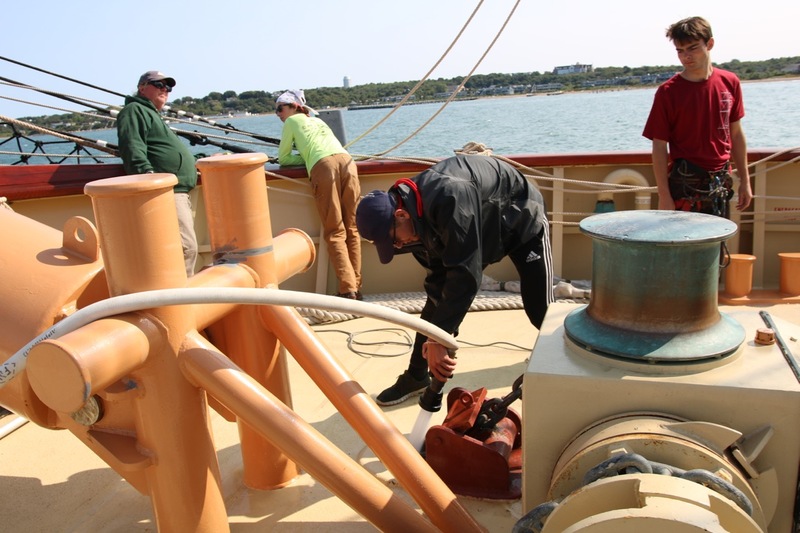 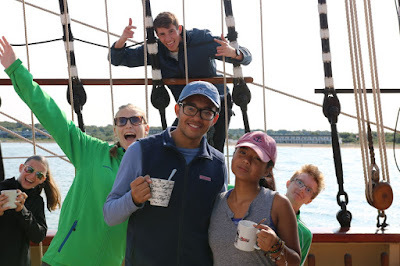 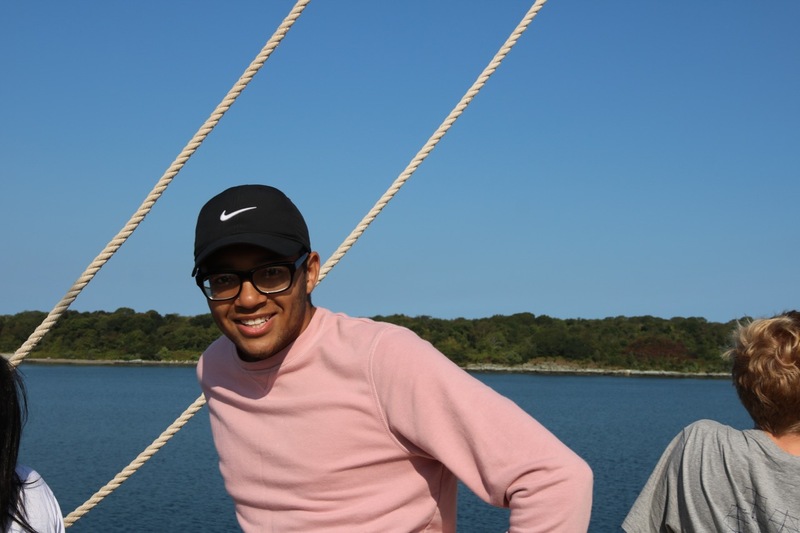 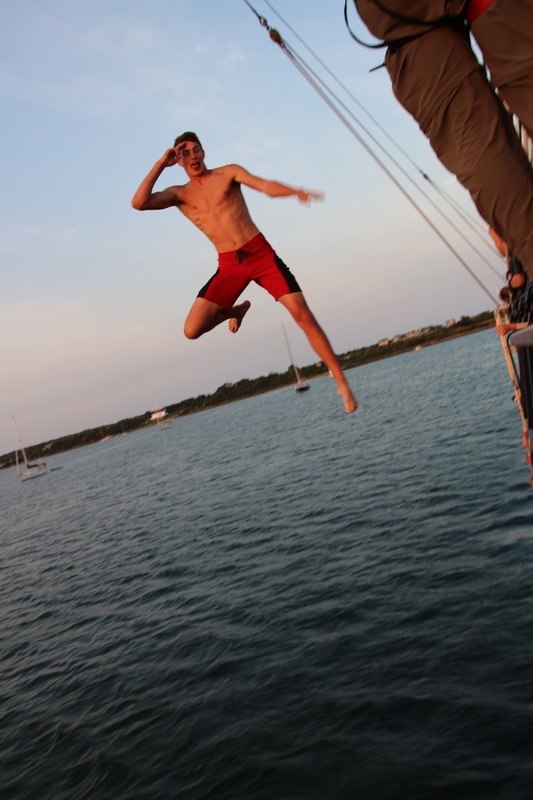 We set anchor off Prudence Island and went aloft to furl sails. 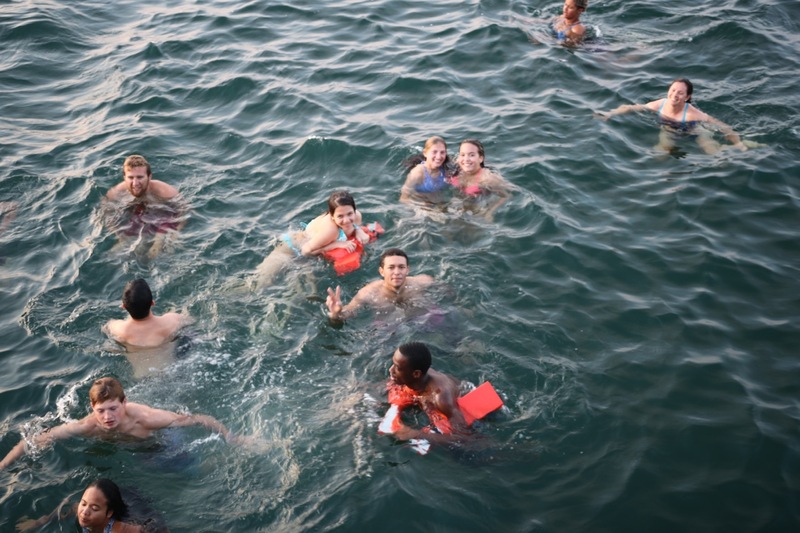 We enjoyed another swim break, sunset, dinner, a navigation lesson, deep More Than Words discussions, and games. 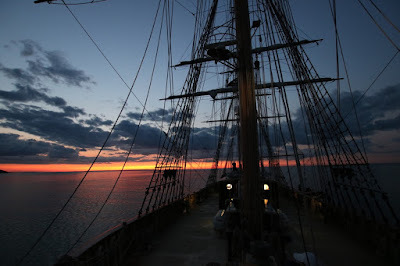 Then of course, it was lights out and time for our night watches. 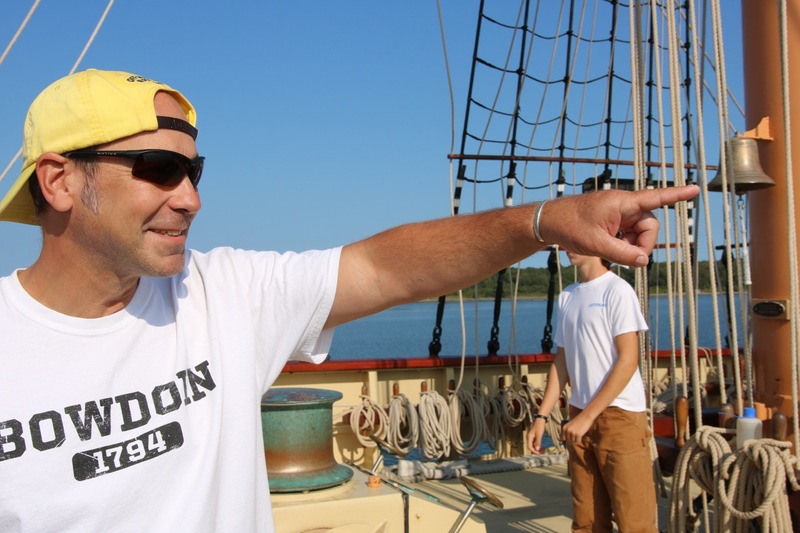 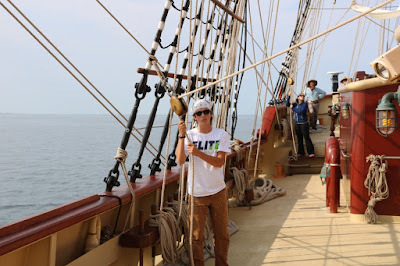 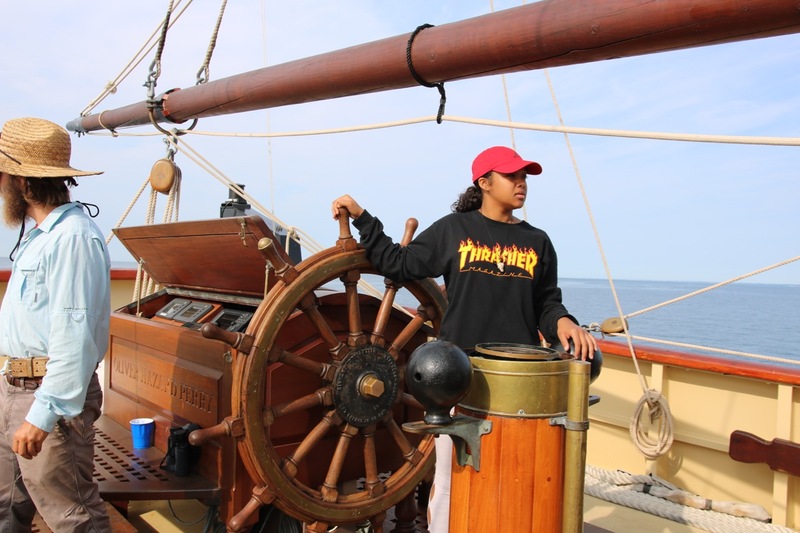 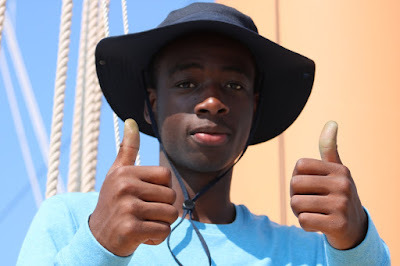 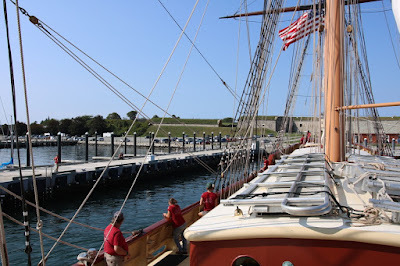 After one more lesson on sail operations and high rigging training, we left Montauk and set sail for Block Island. 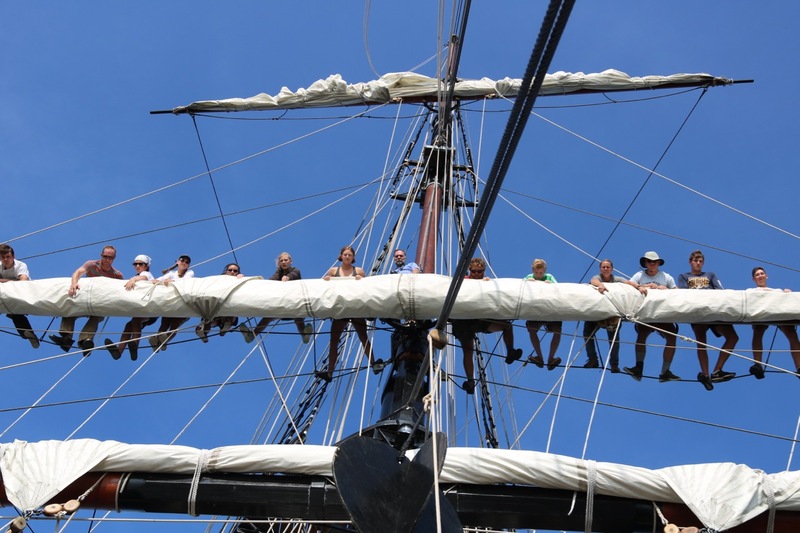 The students set nine sails! After we were well out in Block Island Sound we did another round of fire and abandon ship drills. 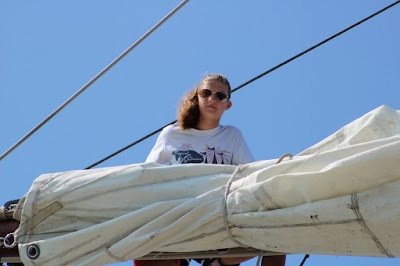 Then we enjoyed the afternoon sail to Block. 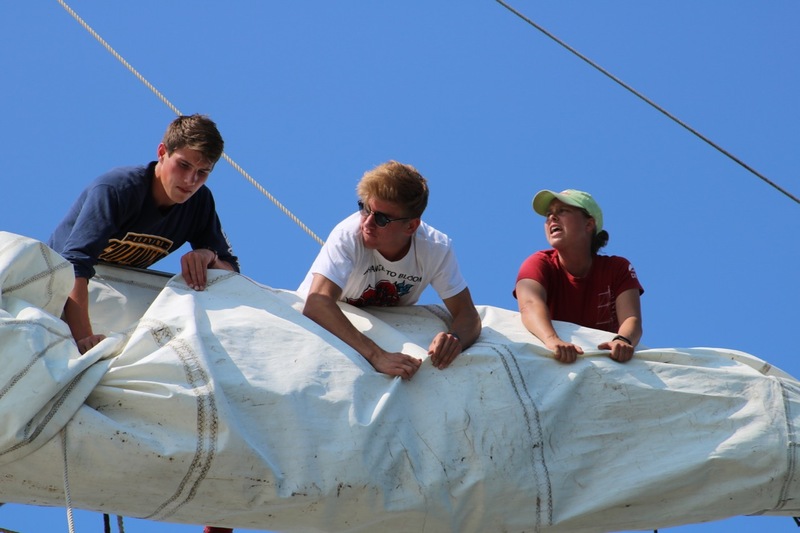 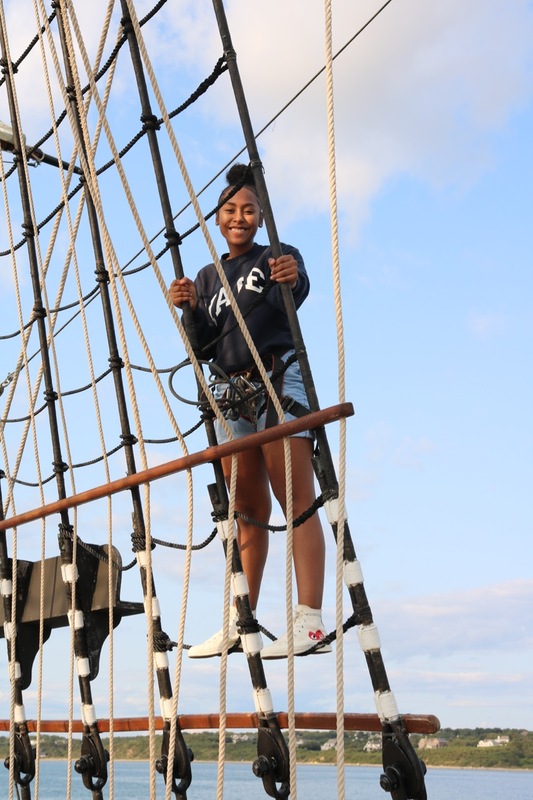 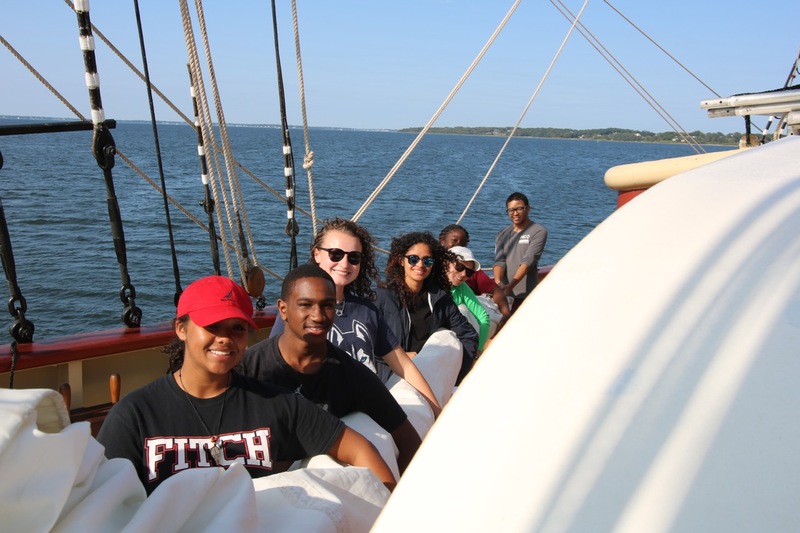 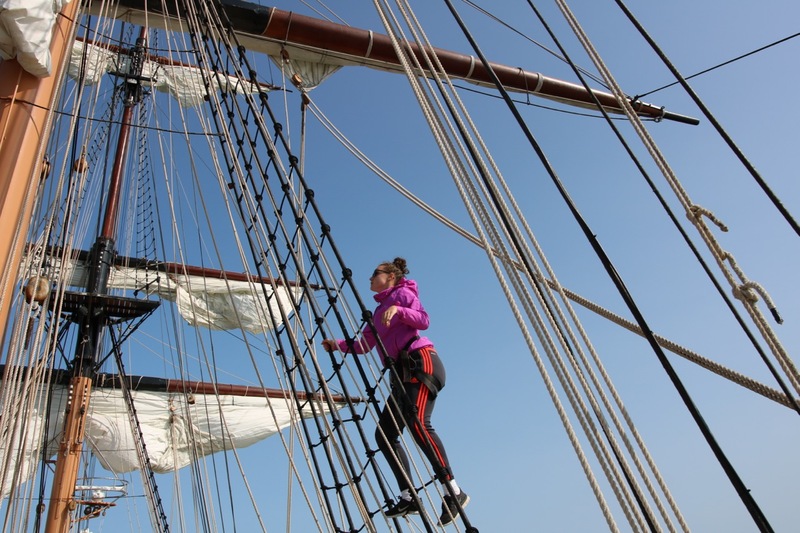 After setting anchor, the students went aloft to furl sails. 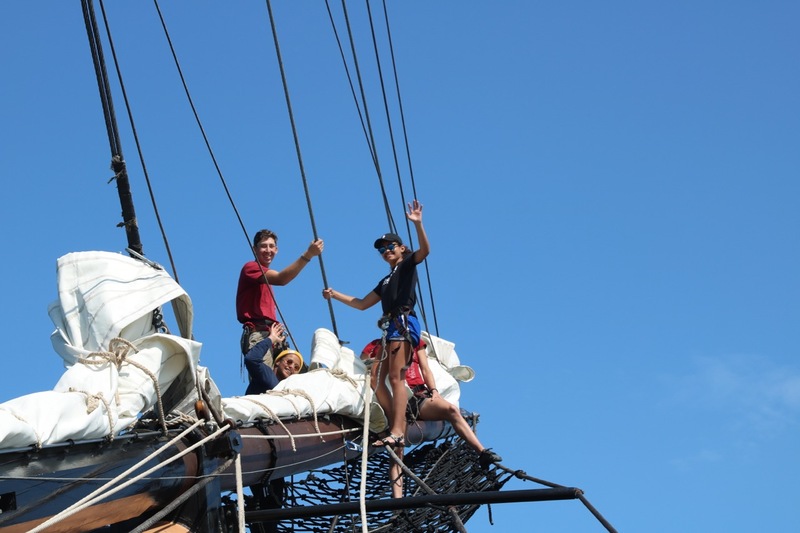 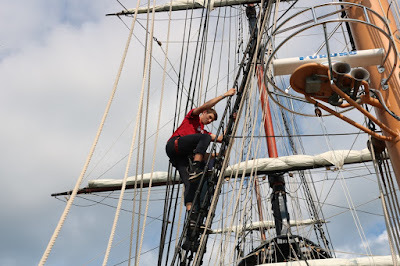 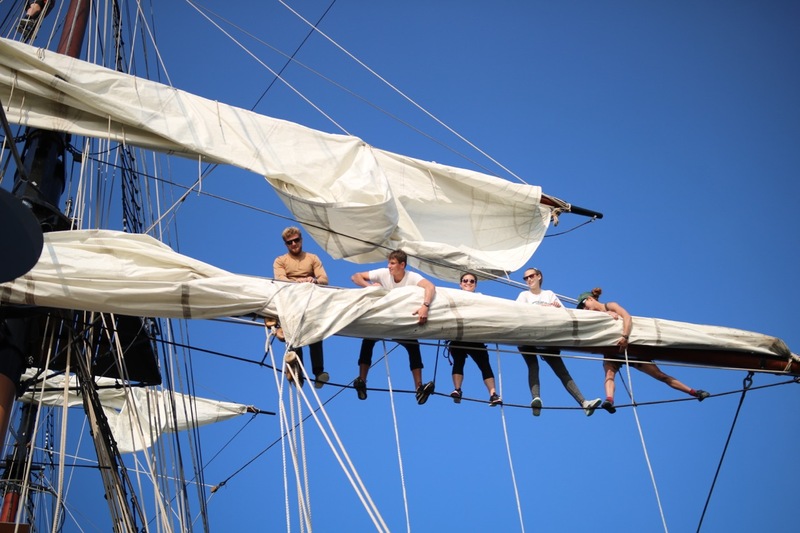 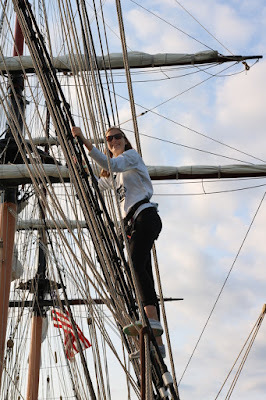 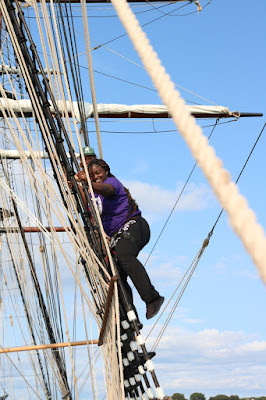 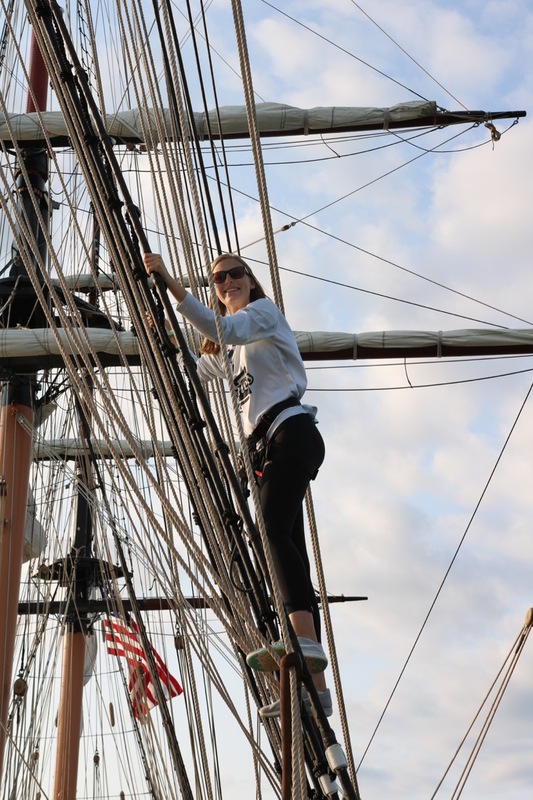 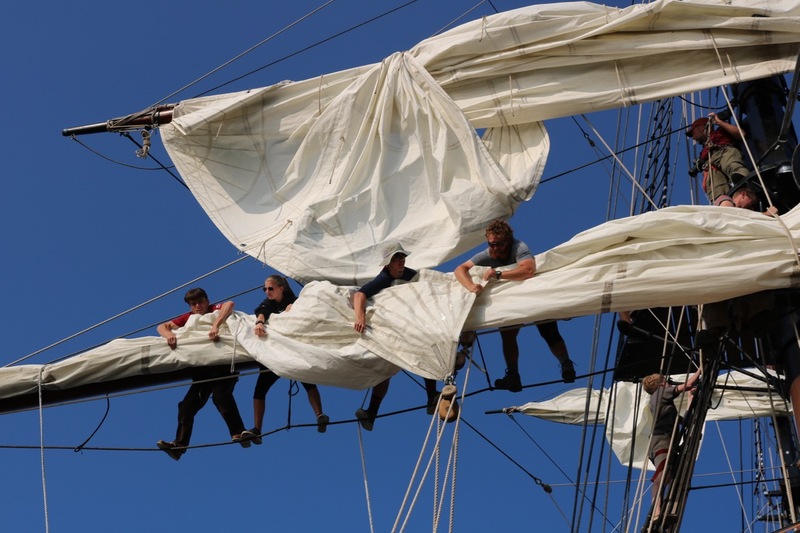 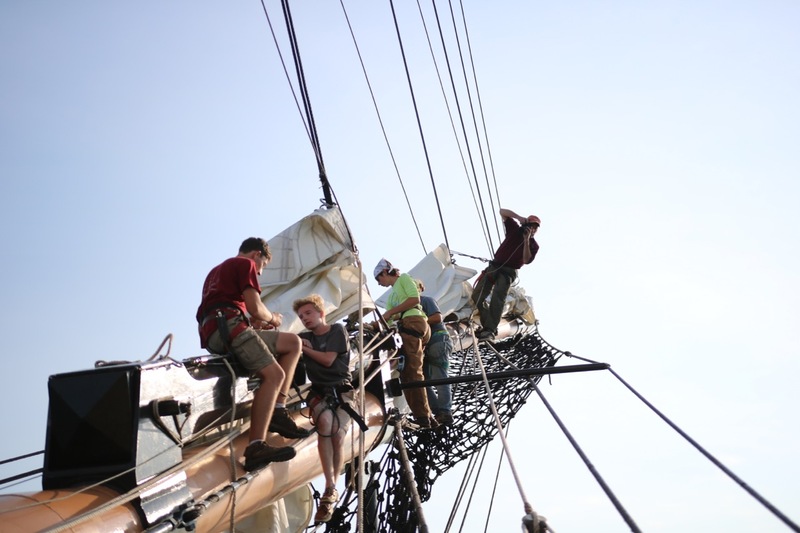 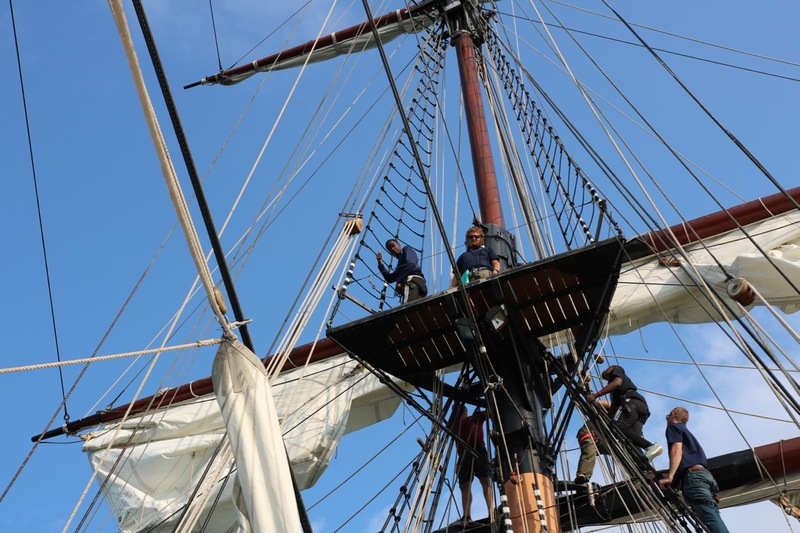 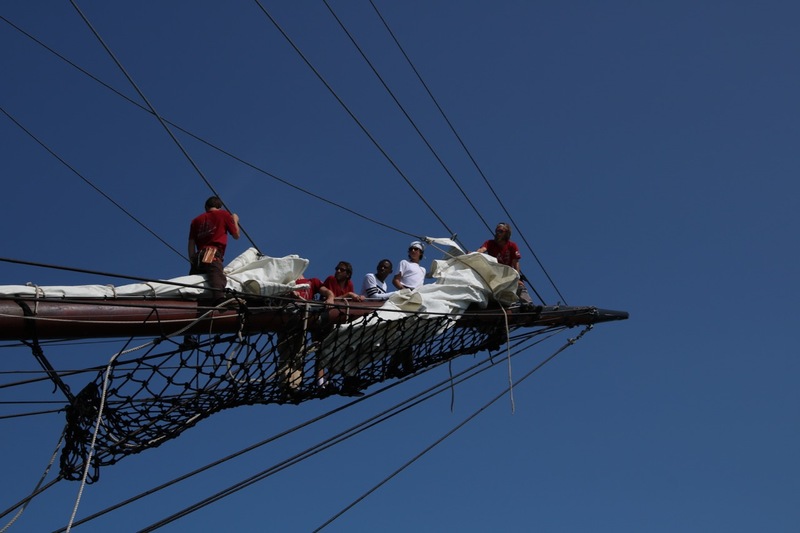 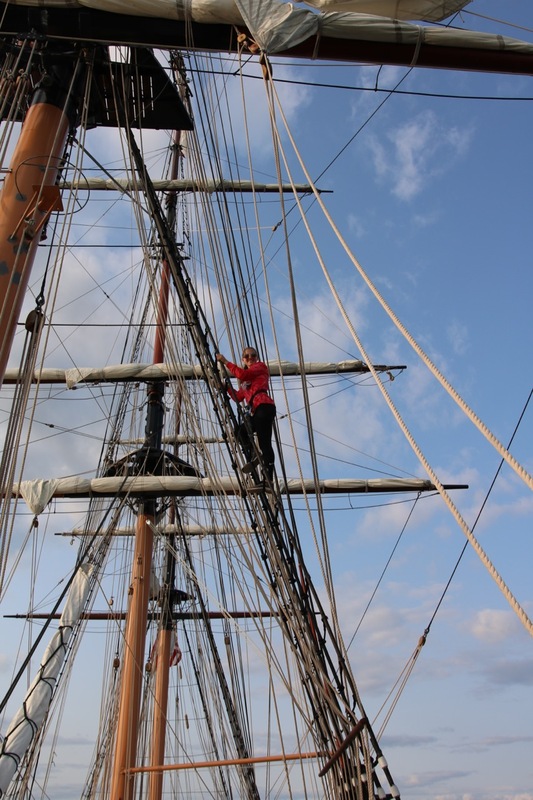 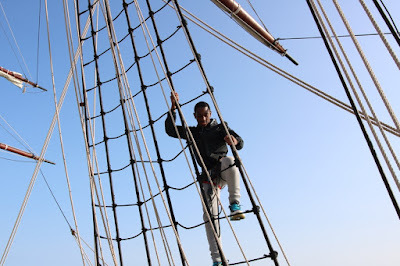 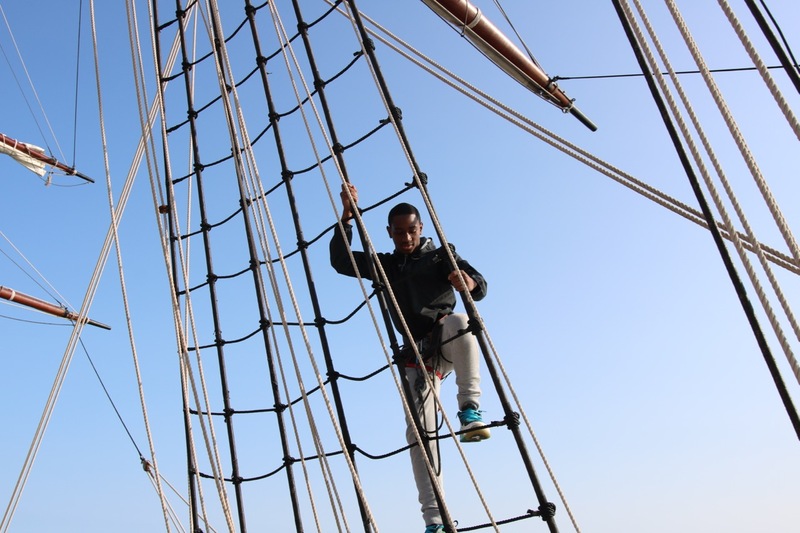 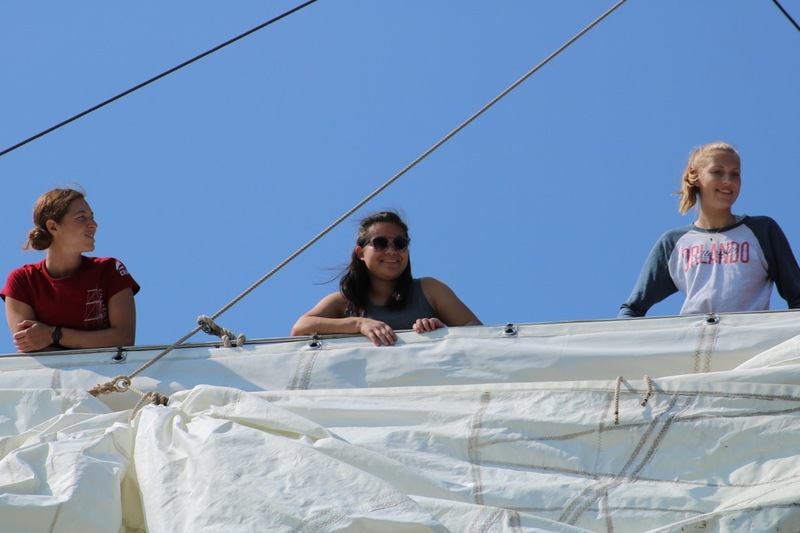 A few even went to the top of the highest sail (third sail on the mast) to furl. 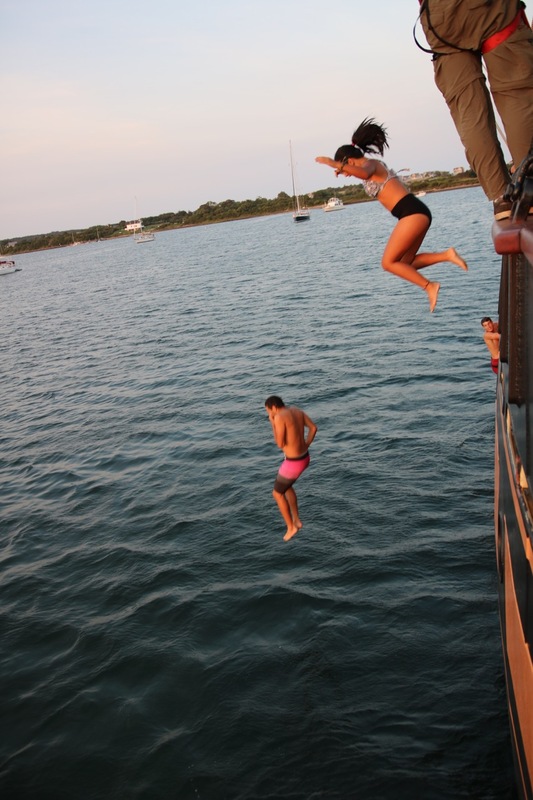 It was so high that photos just wouldn't do it justice. 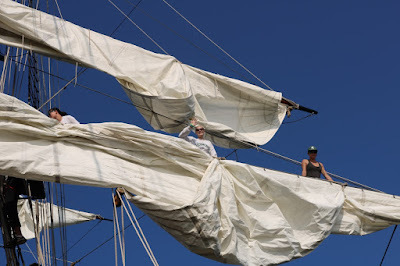 It was quite a bit of work to furl and tidy up the lines. We fit in a quick dinner and then went for a splendid swim off the boat at sunset. From there, each watch made it's own flag to represent themselves. 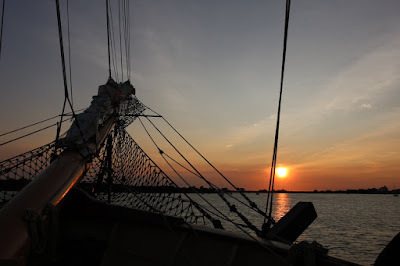 Finally, the night watches, card games and sleep began. The photo below was of our spectacular sunset last night (more to come). It was a magical night on the hook. The kids are up and eating. 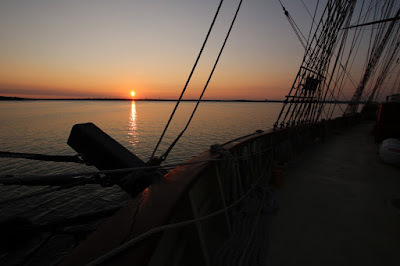 The sun has risen. 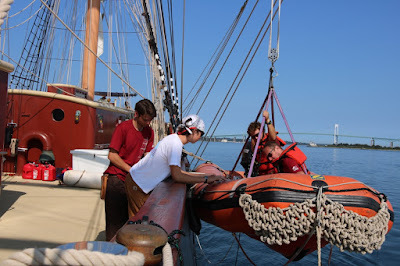 We are in for a couple more hours of training and then we'll set sail to the east. 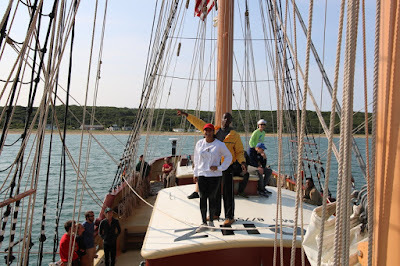 We sailed across to Montauk, NY and anchored in Fort Pond Bay. 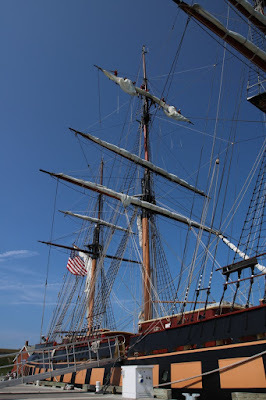 It is so beautiful here! The students were in training all day. 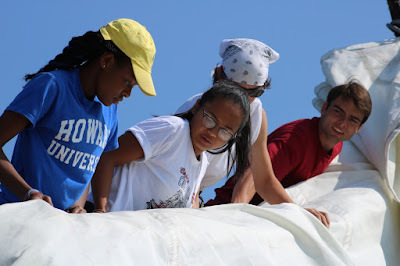 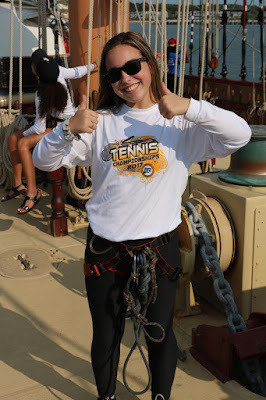 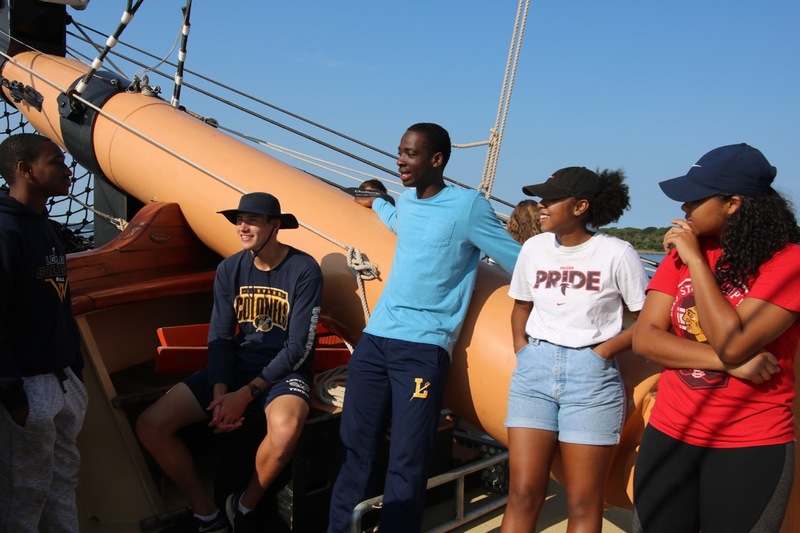 On the way over from CT, they learned about man over board, fire and abandon ship procedures, as well as how to get around the guts of the boat down below. 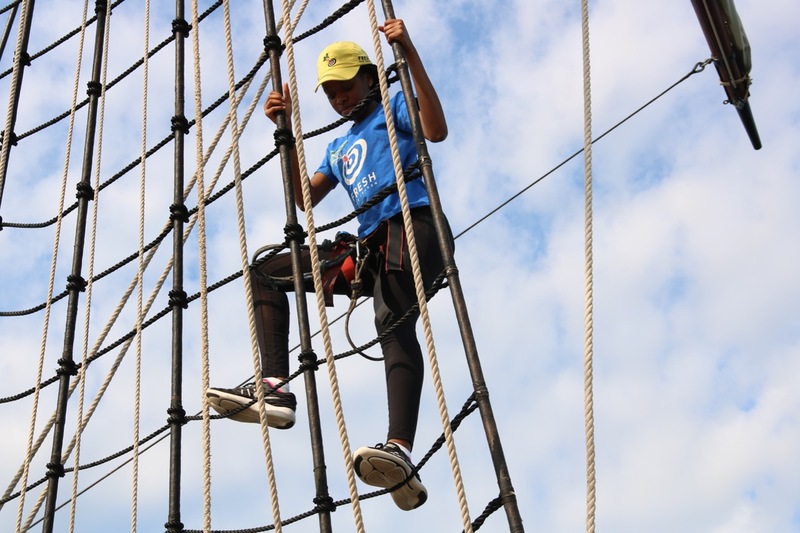 After anchoring, they did their first climbing exercise and learned how to handle, lash, and stow lines. A few of them are up on the yard right now, furling the sail. There will be a whole other round of activities after dinner and then the two-hour night watches begin! 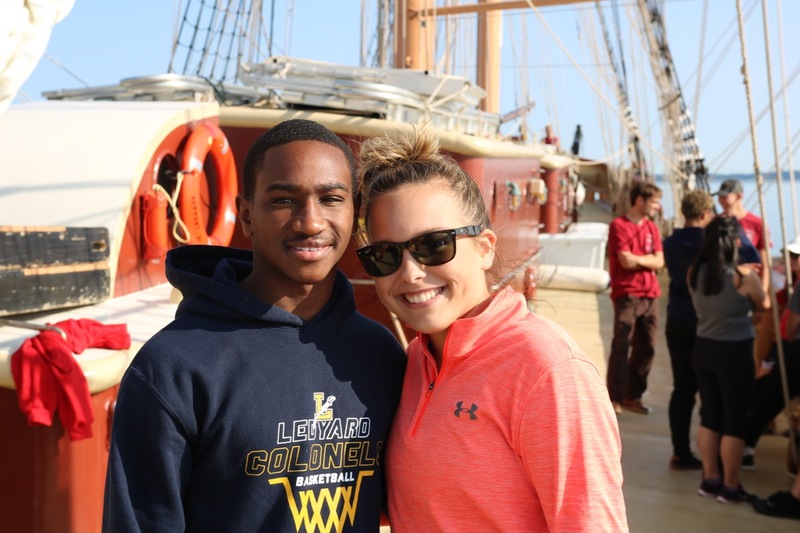 The mission of More Than Words is to promote respect for diversity, facilitate communication, and build trust among members of our community.